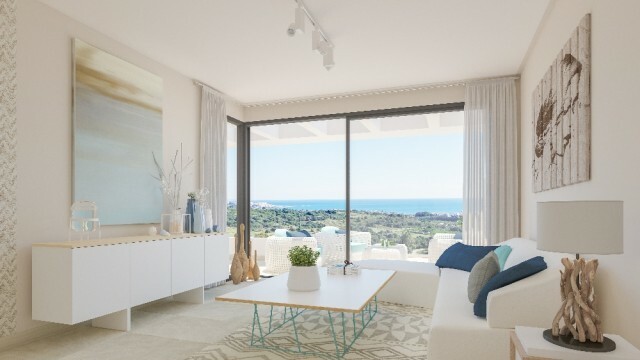 Fabulous Sea Views from this Two bed, two bath apartment for Sale at Mirador de Estepona Golf. 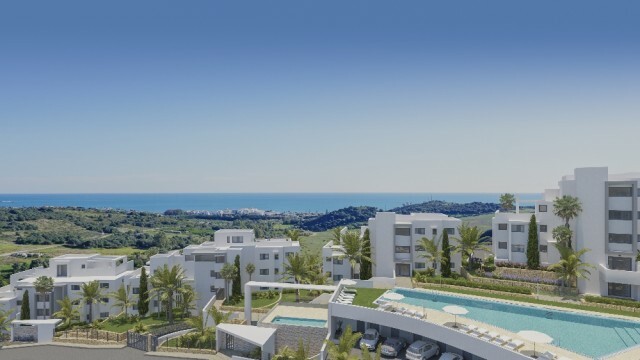 Mirador de Estepona Golf is a brand-new development of 54 exclusively designed apartments and penthouses located just 3km from the beach at Estepona Golf that enjoy the benefits of a Green Fees Pack at Estepona Golf Course and VIP membership at the Fuerte Hotel. Conveniently located for easy access to all the local towns of Estepona, Marbella, Puerto Banus right down to Gibraltar yet hidden away in the unrivalled beauty of the Andalusian Countryside. 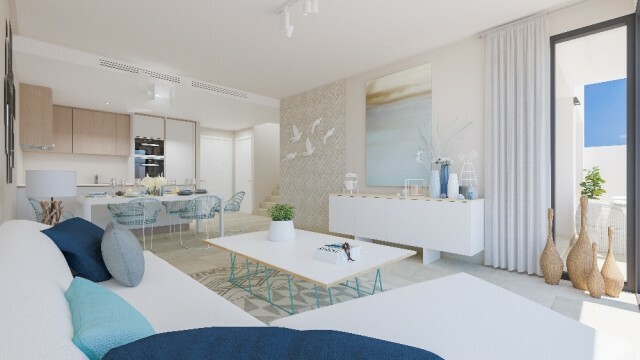 The modern, contemporary design of the apartments combines the demands of today´s lifestyle with the quality that one expects in a luxury development. 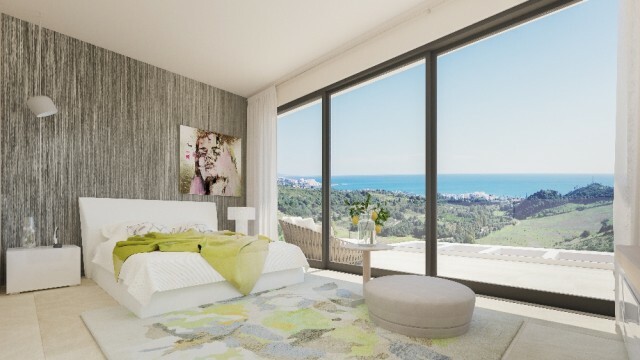 The southerly orientation optimises the light entering the apartments and allows full enjoyment of the breath-taking, panoramic views across the greens to the mountains and down to the sea. 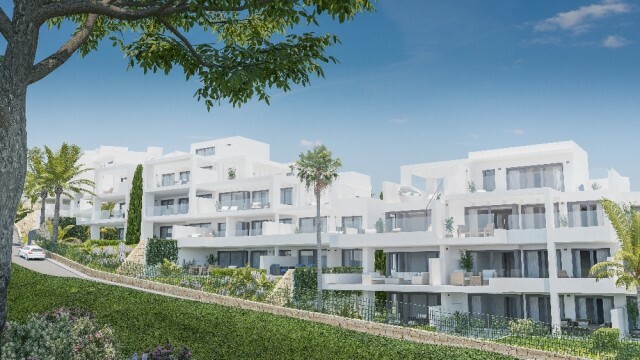 Set in 8,400sqm of landscaped, tropical gardens with a magnificent swimming pool for adults and a separate kiddie pool the accommodation is arranged over 6 blocks and offers charging points for electric vehicles in the garages. The apartments briefly comprise of hallway leading to the spacious open plan living room with dining area and integrated kitchen, master suite with dressing area and en suite bathroom, further bathroom for the other bedroom(s) and guests and large terrace from which to enjoy all the benefits of life on the Costa del Sol. 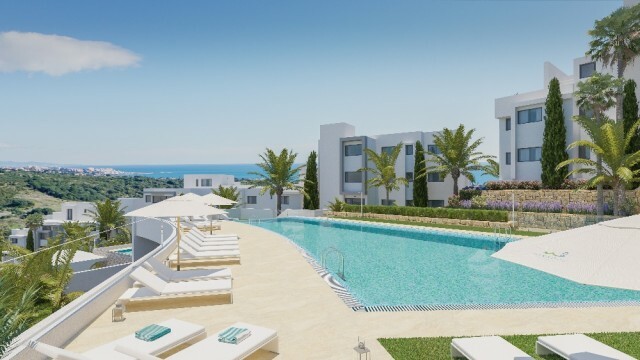 With prices starting at just 247,000€ for a two-bedroom, two-bathroom apartment. Contact us today at The Experience Group to allow us to give you the benefit of our experience and guide you through your purchase of your home in the sun. Views: Breathtaking, Golf, Mountains, Panoramic, Sea. 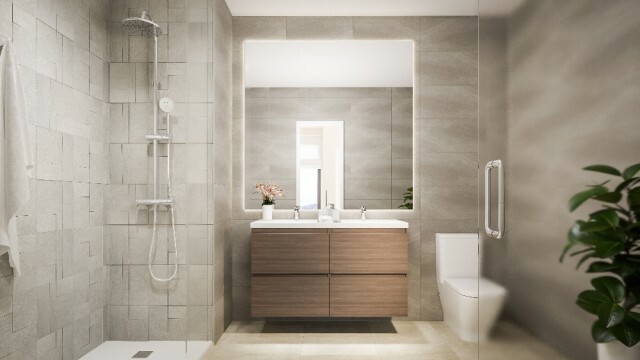 Features 2 Community Pools, Air Conditioning Hot/Cold, Built to High Standards, Close to all Amenities, Contemporary style, Frontline Golf, Landscaped Gardens, Swimming Pool.